When you’re visiting Taiwan, it goes without saying that you’ll want to try as much of the local cuisine as you can. When you’re staying at the Crystal Resort at Sun Moon Lake in Taiwan, you’re lucky enough to have top-quality food offerings right on your doorstep. The Yummy Lakeview restaurant is actually based within the resort, and offers a great range of both local and Western dishes to truly tantalise your taste buds. And it’s not just an evening meal you can enjoy here, but any meal throughout the day. So why not give a traditional Chinese breakfast a try? If you choose to enjoy your evening meal at the Yummy Lakeview restaurant, then you’ll also be greeted by the stunning views across the lake – an opportunity you certainly won’t want to pass up on. You also have the choice of a great range of Chinese a la carte and set meals, or Western-style set meals for both lunch and dinner. After you’ve eaten, we highly recommend that you head out for a stroll around the lake and enjoy the sunset, along with the stunning views that the entire area offers. 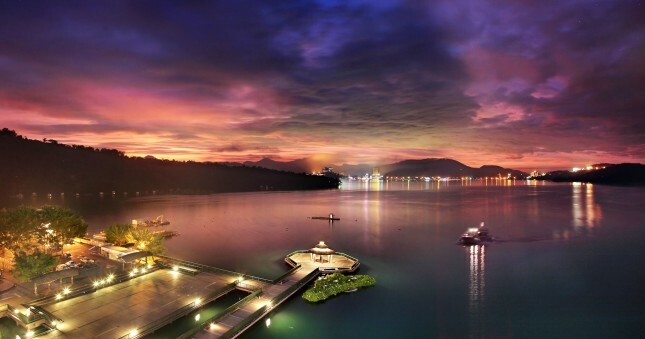 There is a true natural beauty at Sun Moon Lake that you really can’t compete with. This luxury is also reflected within the hotel itself, where guests can kick back and relax in one of the bright and airy Dawn or Sun rooms, or achieve true relaxation in the much more decadent Moon rooms. 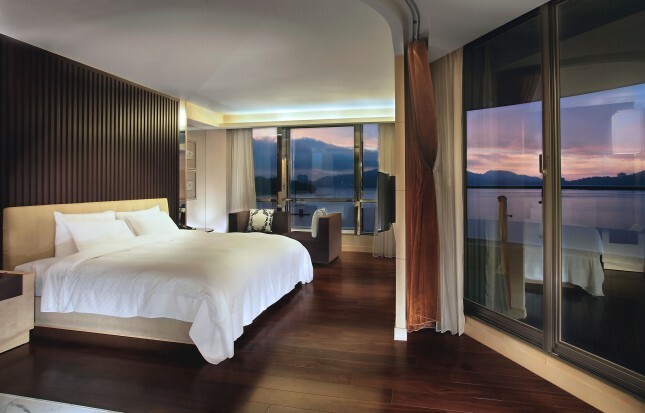 The most sought after though are undoubtedly the vast Lake suites, which boast panoramic views of Sun Moon Lake through floor-to-ceiling French windows. Whatever room you’ve booked, you’re sure to find yourself enjoying the luxury of the resort and your surroundings, and hopefully, full up from the delicious food that you’ve enjoyed.